What's the bestest job ever? A beauty shop guy, that's what! With over 50 million books in print, Barbara Park's New York Times bestselling chapter book series, Junie B. Jones, is a classroom favorite and has been keeping kids laughing—and reading—for over 20 years! 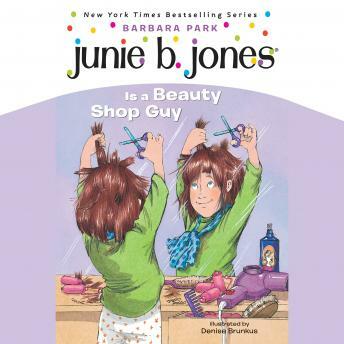 In the 11th Junie B. Jones book, Junie B. wants to be a beauty shop guy when she grows up. But first she needs a little practice. And a few volunteers. Like her bunny slippers. And her dog. And maybe even...herself? Is Junie B. on her way to a great new career? Or is she about to have the worst hair day ever?